Read here from jsonline. Hard not to like a guy like this. Anyone else experience the terror of driving in the vicinity of a man driving a minivan? An aggressiveness matched only by FIBs. I think they’re just ticked off because they lost the which-car-should-we-buy-next argument. I like this pick for position – though I must say I know very little about Sherrod in particular. He looks huge and report is that he’s a bright guy. Seems to fit the mold. I just like adding to our depth along the line with Clifton getting close to being done. I wanted Carimi to keep falling to the Pack. Hate to say this about a Wisconsin boy, but I hope he has a poor NFL career! I’m not sure why he fell so far in this draft. Truth is, I think this was a smart pick by the Bears. DE – With the likely loss of Cullen Jenkins and Johnny Jolly, the Packers are a bit thin at DE. The Raji/Pickett system in the middle and on the left has worked well, but we will need some more players to choose from for that right DE spot in particular. The team likes Mike Neal, Jarius Wynn wasn’t terrible and CJ Wilson had some OK games. And while Howard Green is listed as a DE, he is more of a NT – though there were times last year when we went with a Raji, Pickett, Howard line which was…solid…and good against the run. Of course, now that TT has completely vindicated himself with a Super Bowl title, wouldn’t it be something if fate now aligned with Justin Harrell and he somehow made a massive comeback, snatching that right DE position. MEDIUM-HIGH. NT/DT – We need another body or two up front. Yes, Raji, Pickett and Howard Green are all capable of filling the traditional NT spot in the 3-4 – and we do have some huge guy named Jay Ross on the roster too – but I think we could use another huge young guy who can eat up space. Not a huge priority this year but thinking forward, it could become a bigger need in just a couple years. MEDIUM. LB – Tempted to indicate that we have no needs for LB because we’d be fine if we only had one: Desmond Bishop. But we could use an OLB to complement Matthews. If we could pick up a fast pass-rushing guy I think that would make our defense that much scarier immediately. We do still have Chillar, Erik Walden (who was good before getting hurt), Zombo who was adequate but not great, Robert Francois who was OK and Brad Jones who was average before getting hurt. And of course we have Barnett coming back. There is some young talent that perhaps TT and MM think they can develop like Walden and Zombo in particular, but I think Ted drafts a few guys this year who could play OLB. I have to admit, despite trying not to buy into combine-hyped guys, I am intrigued by prospect Dontay Moch from Nevada. He’s a LB who apparently has run 4.4 in the 40. He also had 8.5 sacks last year – so he’s good at getting to the QB. MEDIUM-HIGH. CB – The way Tramon, Shields and Woodson played last year, it might be easy to pass over CBs in this draft. But for the future and for depth reasons, I’m guessing TT grabs a CB or two even. Brandon Underwood and Pat Lee have not convinced me so far that they are adequate depth guys we can turn to in case of injury. I think TT may want to shore up the #4 and #5 CB guys. I’ve read several articles about this draft being a decent one for CBs. TT has probably identified a gem or two nobody else is considering. MEDIUM. Safety – Peprah really stepped up down the stretch. His ability to come in, make plays, and importantly, not make big-time mistakes, really helped this team get to and then win the Super Bowl. But it will be interesting to see if he retains his spot as a starter. Burnett has skills and flashed them early on. And, Peprah’s play wasn’t flawless. Anthony Smith has been hurt and was iffy when on the field. I’m thinking the Pack goes after a safety or two – especially a guy who could back up Collins if he gets hurt. MEDIUM. Special Teams – TT said in an interview with me the other day that he’s trading up in the first round for a long snapper. Seriously, special teams were pretty good last year. Crosby and Masthay should hold down their spots and I don’t expect TT to draft for either of these positions. We could always use a couple psycho-don’t-care-about-their-bodies types for the units – though we have a good number of these types already. However, one area we could improve upon is kick and punt returning. I’m too lazy to check the stats from last year but I dont’ think we were very special MEDIUM. I have tried to rank each position in terms of need: HIGH, MEDIUM, LOW. WR – It will be interesting to see what happens with James Jones. If he is retained, I can see sticking with the core 4 guys, but I can also see drafting for the future. Driver is getting older and had injury issues bothering him for much of last year. Jennings and Nelson are very good and young. I think we should try to keep Jones but not overpay for him. He can be very good, but he can also frustrate. Either way, I think we should be looking for a big WR who can add to the mismatches our WRs/TEs already cause. If we had a huge dude at WR on the field when Finley is on the field, it would be difficult for defenses to figure out how to match-up – especially considering they’d also have to defend the other WRs and RBs. But I would be particularly interested in a huge guy at WR to enhance our red zone scoring options. We drew up some nice plays last year to our WRs, but having a big guy in there to add to the overall repertoire of red zone plays would be helpful. Can’t resist, want a crazy thought (that essentially contradicts what I wrote above)? What about trading for the Panthers’ Steve Smith who is apparently packed and ready to go? Though he has an attitude, I think he’s at that stage in his career when he just wants to win and adding him into the mix would be crazy. MEDIUM. O-LINE – The line figured things out toward the end of last year. They are built more for pass protecting than run blocking. At the end of the year, they seemed to have a much better feel for how to best work with the mobile Rodgers behind them. And considering a few of the guys are younger like Sitton and Bulaga , it would seem there is a sound nucleus to build off of. But I remain concerned about the left side of our line in particular. Colledge remains iffy and Clifton (who was very good last year) is quite literally on his last legs. I can see the Pack focusing on drafting tackles/guards this year (right or left as Bulaga could eventually play either). I think TT believes this is an area of real need and though he claims not to draft for need, I wouldn’t be surprised to see the Pack grab 2-3 O-Linemen this year. HIGH. Check here for the schedule. My initial impression, and I hate to say this, is that this looks like a relatively easy schedule. I particularly like that 3 of the last 4 games are at home. Nice. In case you forgot during this time of unprecedented lack of attention paid to a Super Bowl winning team. Something I don’t mind at all. 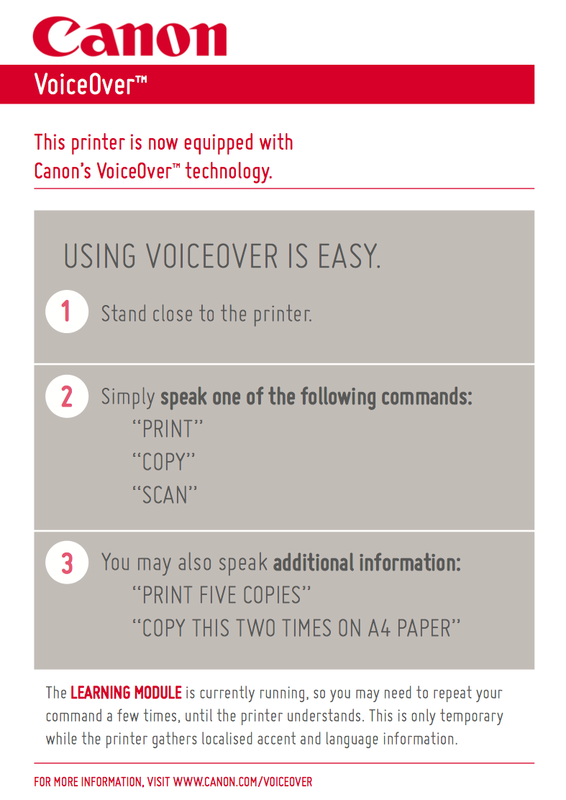 Click here, print off a copy and post this next to your copier at work if you want to mix things up a bit! You are currently browsing the packergeeks blog archives for April, 2011.